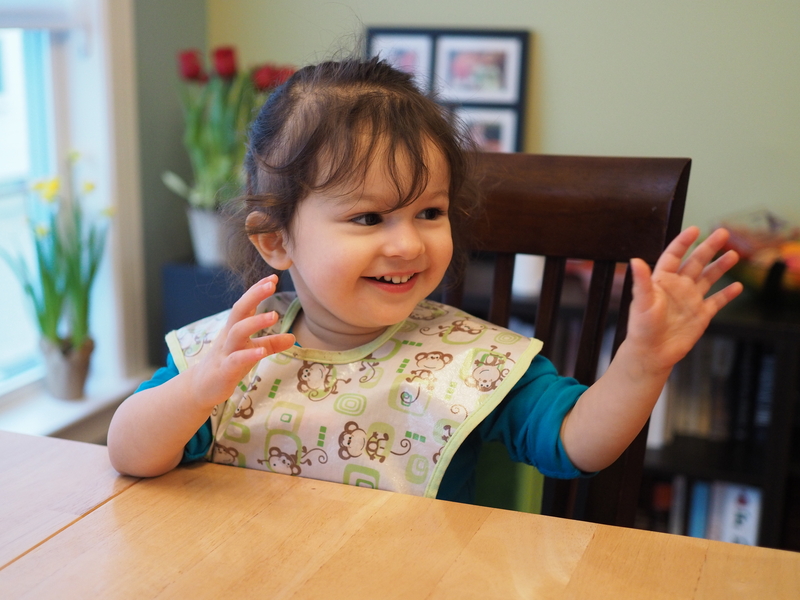 I have a confession: I brainwash my child. Don’t report me to CPS. Please. I do it because I love her. I don’t serve Siyona, my toddler, sugary snacks. No ice cream, no cake, no doughnuts, no cookies. Or at least not in traditional varieties. This is not the brainwashing part, but we are getting there. 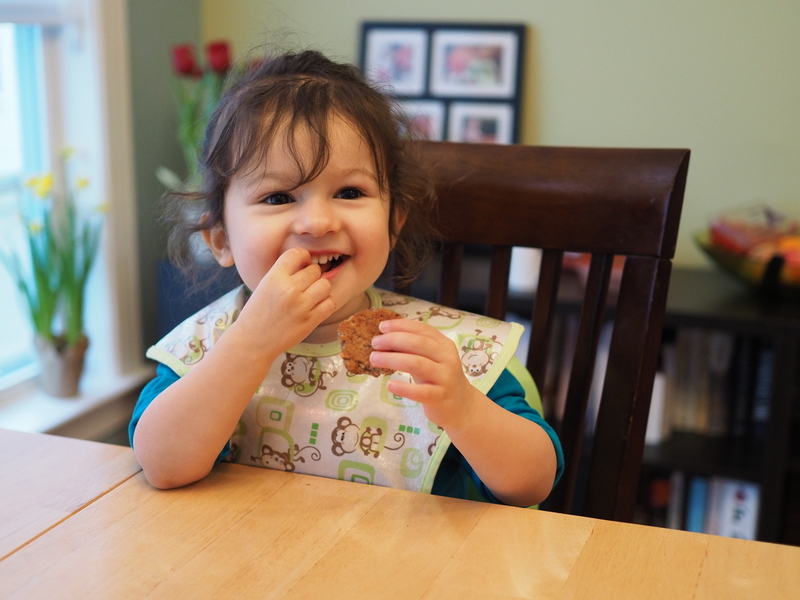 Around my house we eat “cookies,” not cookies. They have just three ingredients, and they are very healthy. Now before you hang up with CPS and start dialing the Fun Police on me, let me also note that they are very tasty. At least I think so, and Siyona seems to agree. The recipe is an adaption of a recipe I received a while back from a client (thank you, Jill). It was so long ago that I’ve since misplaced the link to the recipe, or I would give credit where due. Whoever you are, genius recipe maker, kudos to you. 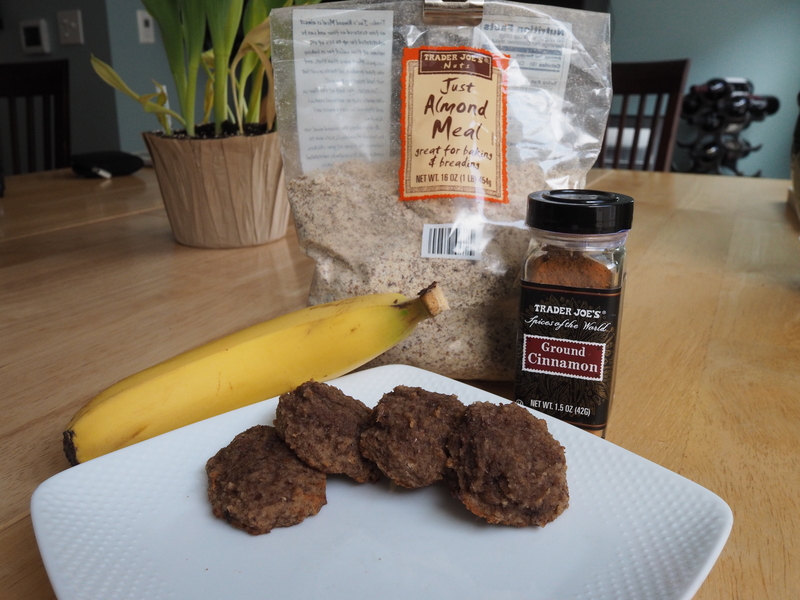 All you do is mash some banana, stir in almond flour/meal, add a dash of cinnamon, and voila! You have “cookie” dough! These are so easy that I tend to make them in small batches, but you could increase the quantities to make more cookies. I’ve never tried to freeze them, but I suspect they would freeze quite well. I can’t begin to describe how excited Siyona gets when I pull these out! Instead I’ll let the pictures below tell the tale. I know they won’t have this allure forever, but I’m riding this wave for as long as I can. 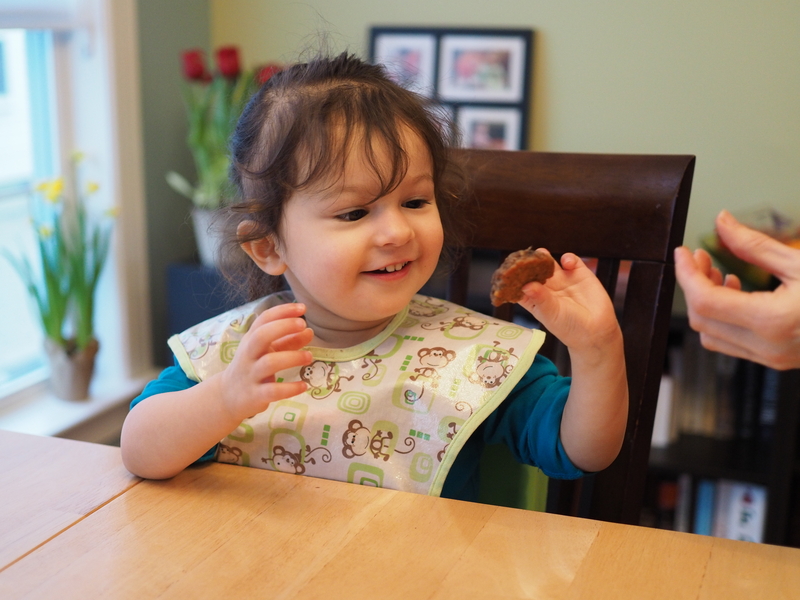 And if you’re wondering if she’s ever had a REAL cookie, the answer is yes. And cake, yes, REAL cake too. Occasionally she’ll eat treats like this at school or on special occasions. I admit I don’t like it, but I don’t want her to feel ostracized from her peers. And really it’s not that I NEVER want her eat these things. Life would seem less fun if she never enjoyed, say, an ice cream cone on a hot sunny day. But I also believe tastes and preferences are shaped at a young age, so I’m doing my best to instill good eating habits now. It seems to be working. Would she choose ice cream over carrots if both choices were placed in front of her? Absolutely! Seriously, who wouldn’t? But does she like carrots? Yes. Broccoli? Yes (especially if it has cheese. Again, duh). Brussels sprouts? Yes. And the list goes on. I should really probably buy some stock in Trader Joe’s. Blend all ingredients in a small bowl. Form into small disks on a lightly buttered baking sheet. Bake at 325 degrees for 13-15 minutes. Next postFull Body, Fat Torching Circuit!